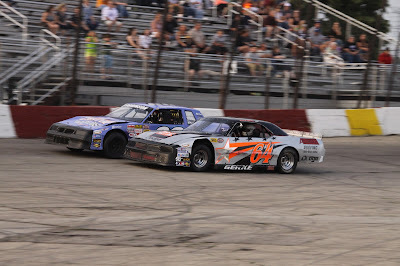 NASCAR Bargain Hunters Sportsman competitors battle side out of turn four and up the front stretch. 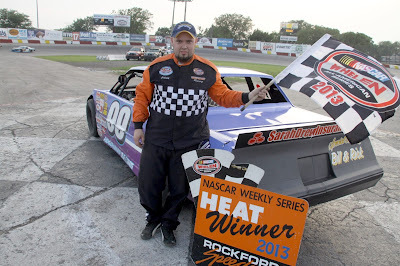 Heat race winner is # 99 Johnny Robinson, II, Beloit, Wis.
Sam's Drive-In RoadRunner Challenge - The Plywood Race was won by # 25 Ryan Ostenson, Beloit, Wis.
Two American Super Cup driver battle for position during the main event of the evening. 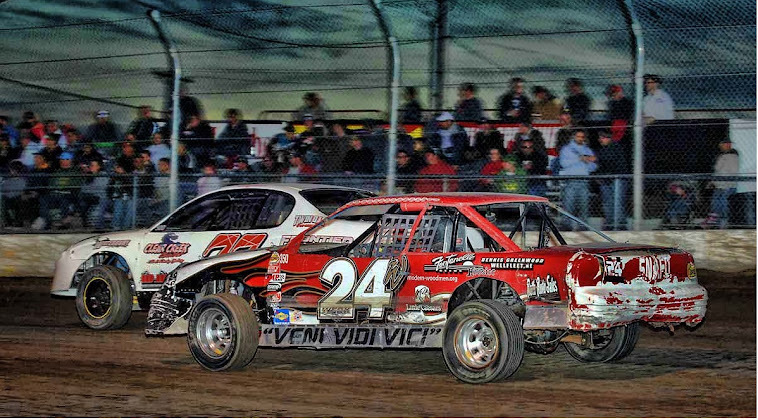 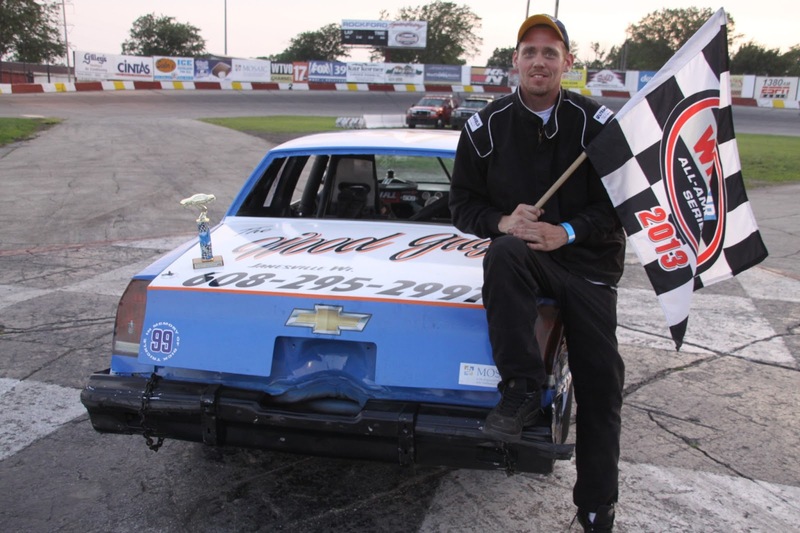 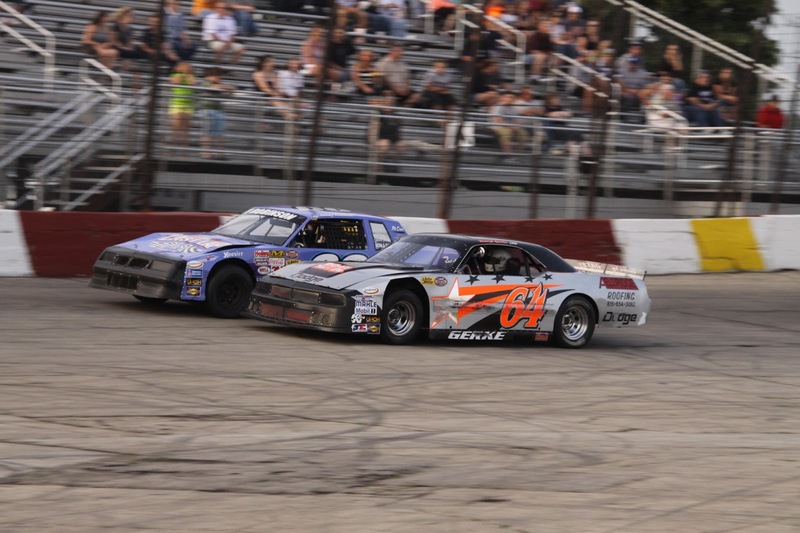 Antioch, IL, # 7 David Cerer topped a thrilling 25-lap Central States Super Cup feature. In only his second Bargain Hunter Sportsman division feature race ever, Kyle Lapier # 55 Belvidere, IL was the big winner of the 25-lap main event. 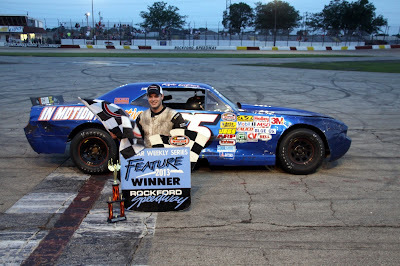 “Driver X” Jon Reynolds Jr., Rockford, IL captures his second Stanley Steemer NASCAR Late Model feature winning a caution free 30-lap feature. 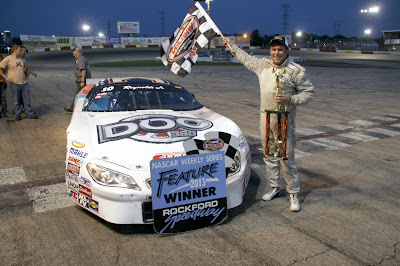 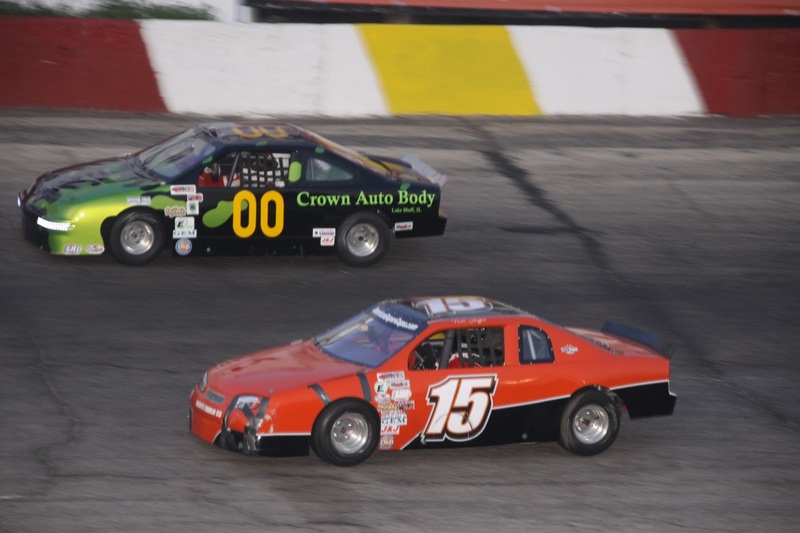 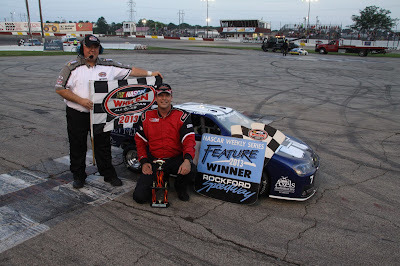 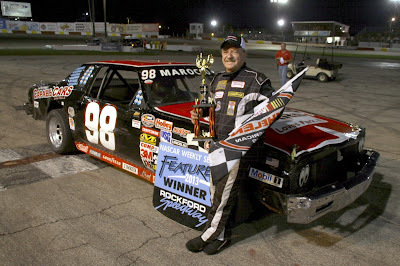 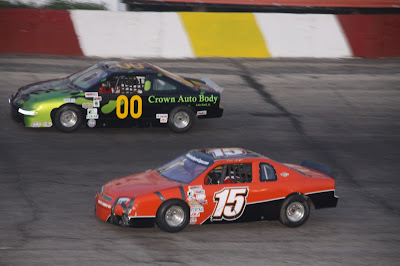 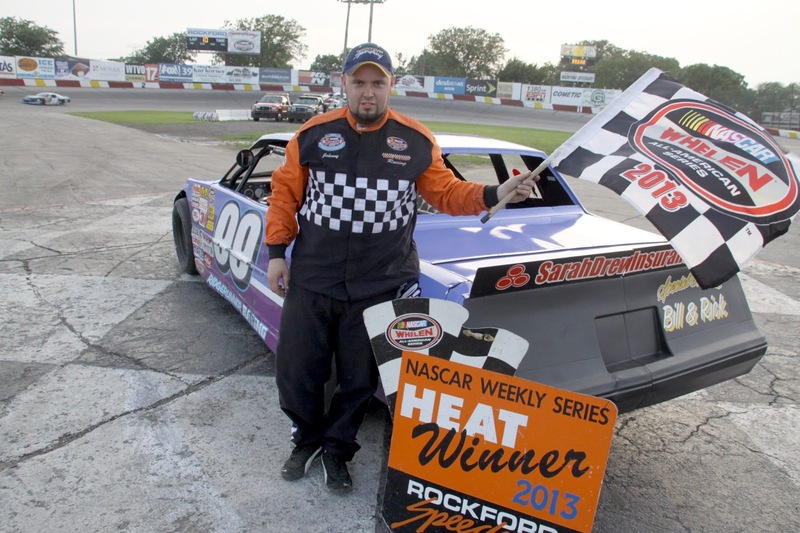 The old guy as he is known by race fans saw 73-year-old Gene Marocco, # 98 Rockford, IL showed the way for all the youngsters Saturday night, taking the victory in the 20-lap Rockstar Energy Drink Roadrunner feature event.